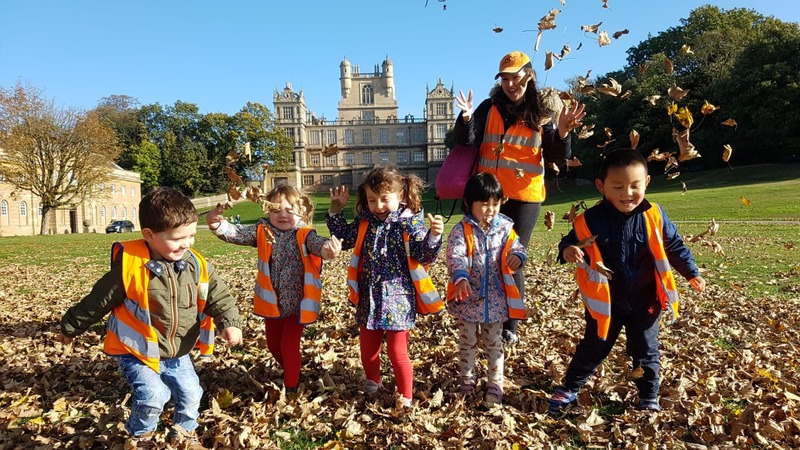 Our nursery is set in a large Victorian house with lots of character on the corner of Musters Road and Patrick Road in West Bridgford, Nottingham. Our car park is on Patrick Road and so too is our nursery entrance which you gain access to via our entrance garden which has been planted out as a sensory environment with herbs and edible plants as well as a lovely stainless steel water feature. Our large walled garden provides an outdoor haven for the children with landscaped gardens including different textured paths, bark chippings and astro-turf areas as well as a covered area for all weather play, enabling us to get outside for two sessions each day. Our non-mobile baby area is a lovely place to start nursery life with the close comfort of baby’s keyworker. Once mobile, babies then have a much larger area to play in which is separated into activity rooms ie; role play, table top, messy play, sensory play, small world toys and dance/music/big construction, all of which are comfortable and spacious with plenty of resources to aid their development. Toys, mobiles, play areas, comfy sleeping arrangements, new safety and hygiene equipment to ensure their emotional and physical security as well as their own outdoor padded outdoor play area with sand, water, tunnel and swing and lots of exploratory activities. We have a carefully planned play curriculum across nursery working ultimately towards the early learning goals. This plan is designed to cover a wide range of activities building on and extending children’s existing knowledge, experiences and interests and develops their self-esteem and confidence in their ability to learn and is regularly evaluated and reviewed. Our children enjoy; Messy play-painting, clay, planting, baking, food play, sand and water activities. We love learning using IT equipment and toys. Our free expression activities include music, dressing up, role play and home corner and we have our lovely covered cushion area to relax on whilst listening to story tapes, looking at books or working on sounds and phonics. 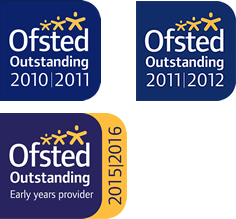 We believe that a good quality environment for the early years is one that is attractive and welcoming, supports children’s learning and values children’s work. We are often out, either on foot enjoying our local facilities such as the park, riverside walks and library, or heading further afield in our wboosc vehicles to country parks and woodlands where we follow the ideas of Forest Schools initiative. 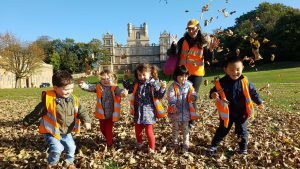 Our pre-schoolers too join in with the fantastic activities and trips at kids club twice a year such as zoos, themed events, theme parks, sea side and nature projects. 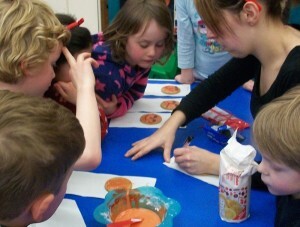 Each month we have ‘stories at the studio’ where we encourage parents to come in and join in activities. Our latest children heading for school have had the same key-worker since joining nursery 4 years ago, establishing secure bonds and a real understanding of how your child learns and develops. “It is fantastic that he has been with Zoe all the way through and I know he will miss her greatly. Their group has been really cohesive and he has made some great friends, some of which we hope will be maintained over the years. With Huge Thanks, Hayley”. This unique system was brought in back in 2010 and has really proven valuable for our children. You can find us in the heart of West Bridgford where we provide service for surrounding schools and those who live in the area. Take a look at the range of our 'services' for more details about how we can help you and your child. A brilliant result for all our staff and children.